State lawmakers in Colorado are pressing forward with a proposal that would limit marijuana cultivation on residential properties, capping the maximum number of plants at 12. House committee members approved the measure 11-2 recently. If passed, this measure would reverse the country’s most generous allowance on in-home cannabis cultivation. As it stands currently, Colorado’s recreational marijuana law allows medical marijuana patients to grow a maximum of 99 plants – way in excess of what other states allow. State law also gives a green light for recreational marijuana users to combine their six allotted marijuana plants into large co-ops. The result, lawmakers say, is that there are huge greenhouses where marijuana is grown, but neither tracked nor taxed. 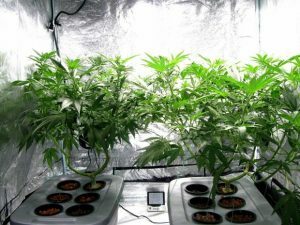 There are, however, some individual counties and municipalities – Denver being one of them – that limits the number of in-home marijuana plants one can grow at 12. Sponsors of this new measure say there needs to be a statewide cap that will deter people from growing, buying and selling on the black market. There are a total of 28 states now that have passed laws allowing medical marijuana. However, none of those allow patients to grow more than 16 plants – except Colorado. There is concern, particularly by conservative politicians, that these home-grow laws attract a criminal element. Others cite concerns raised in some communities by neighbors who say the smell near some homes is noxious and overwhelming, and some fear fire hazards spurred by power supplies that are strained. Local police detectives lending support to this measure say it’s not about denying medical marijuana to people who are sick, bur rather addressing the legitimate concerns raised in some neighborhoods. The measure would still allow larger-scale marijuana grow operations, just not on residential sites. Legislators are also weighing another measure that would beef up law enforcement coffers to fight black-market marijuana grow operations and sales. Gov. John Hickenlooper’s deputies testified recently before the state legislative committee that because it’s not certain what the Trump administration will do about marijuana, it’s imperative for states that are technically violating federal drug law to impose stringent limits that won’t invite federal prosecutors’ scrutiny and action. It’s been made abundantly clear that U.S. Attorney General Jeff Sessions, along with numerous other members of Trump’s team, don’t believe states should be allowed to so openly violate current federal law. And while there have been many calls to change those laws, that doesn’t seem to be on the horizon anytime soon. The governor’s adviser on marijuana stated he believed it’s necessary in this current client especially to prove the state can regulate marijuana effectively on its own terms. However, some marijuana advocates have already voiced staunch opposition to these measures. For example, Colorado NORML called it “re-criminalizing” what has already been de-criminalized. As it now stands, Colorado has approximately 19,000 medical marijuana patients whose physicians have recommended a high number of plants necessary to produce certain kinds of cannabis oils and other treatments that are deemed medically necessary. Our marijuana criminal defense attorneys understand lawmakers would make a misdemeanor, as opposed to a felony, for a first-time offender deemed in violation of having too many marijuana plants at home.